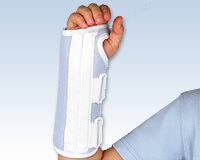 Pediatric Wrist Splint : Balego & Associates Inc. - BalegoOnline.org, Providing the Products You Want and the Services You Need Since 1984. 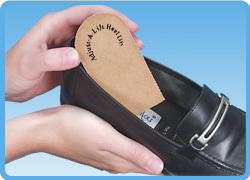 Indicated for Sprains, Strains, and After Cast Removal. Color: Blue/White. Microban® Wrist Splint, INFANT 0-24 mos Under 4 1/2"
Microban® Wrist Splint, PED 2-7 yrs 4 1/2 - 5 1/2"
Microban® Wrist Splint, YOUTH 8-12 yrs 5 1/2 - 6 1/2"